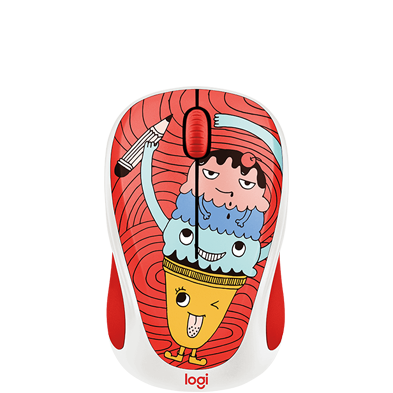 Part secret weapon, part cool gadget, all-out daily essential. 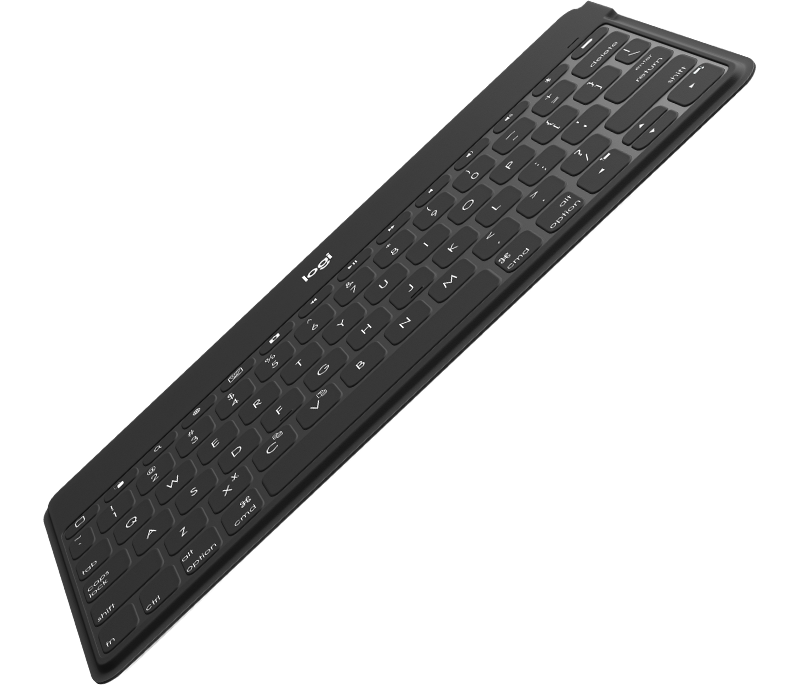 KEYS-TO-GO is the ultra-thin, ultra-light keyboard that lets you type whenever you’re ready. Team it up with your favorite phone, tablet or media center, and there’s no limit to what you can do. Break free and work anywhere. 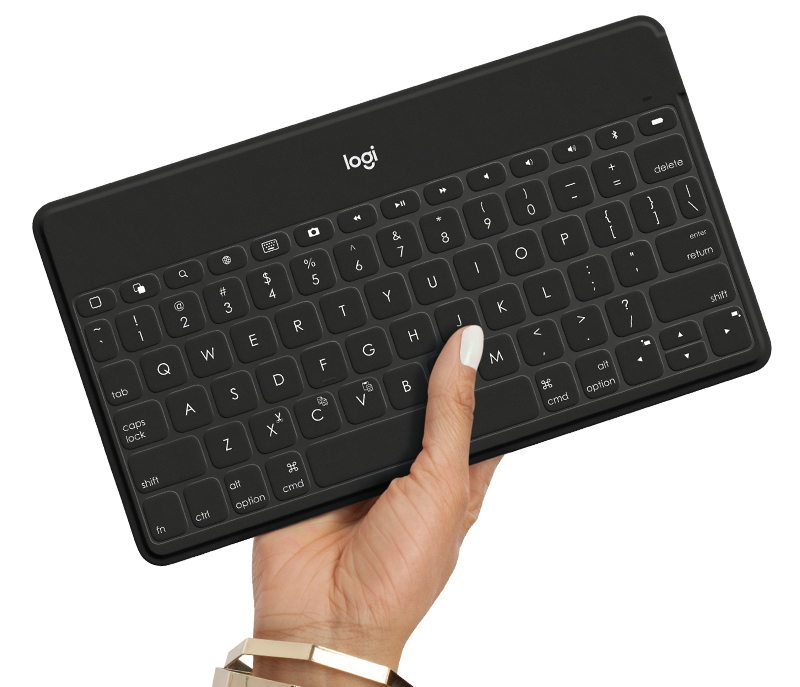 At only ¼ inch thick and 9.5 inches long, KEYS-TO-GO is the ultra-mobile keyboard you can take anywhere. 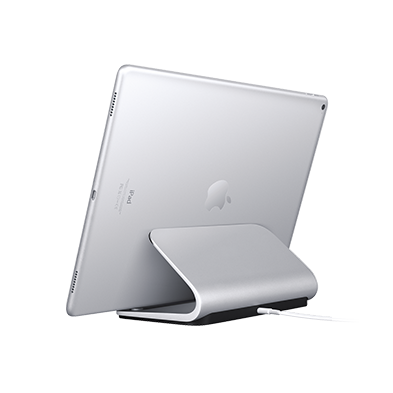 It tucks in your purse or briefcase, slides into any backpack, and even fits between the pages of a magazine. It’s so light you’ll probably forget it’s there. When you’re ready, just whip it out and type like crazy. KEYS-TO-GO is super simple to connect to your iPhone, iPad, AppleTV and more. It sets up in seconds with Bluetooth®, so you can seamlessly continue sending texts on your phone. Or quickly turn your tablet into a laptop and blog away at a café. It can even help you tap into all the fun of your media center without getting up from your comfy chair. Fashion and function all in one, KEYS-TO-GO acts like wireless wearable tech. 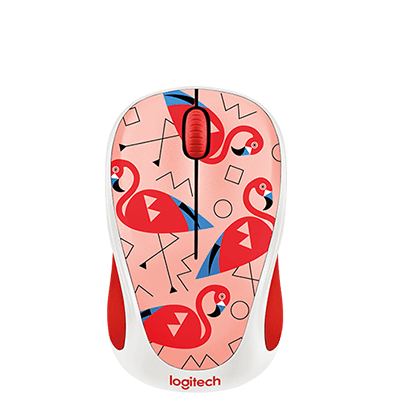 It stylishly integrates into your lifestyle so you look great whether you’re working on the beach or replying to an email at a cafe. KEYS-TO-GO feels great to type on. 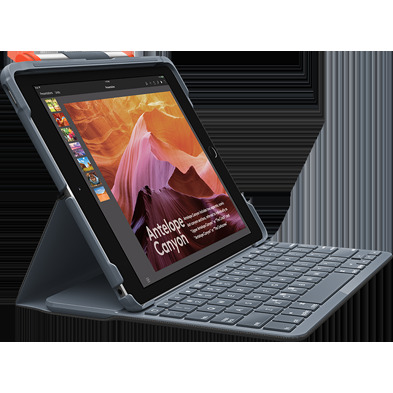 Enjoy the ease and comfort of a normal keyboard layout whether you’re curled up in a chair camping or on the sidelines of your kid’s soccer game. You’ll get great tactile feedback and perfect bounce every time you press a key—all with impressively fast and accurate results. Plus, a full row of function keys and shortcuts perform your favorite iOS-specific actions. 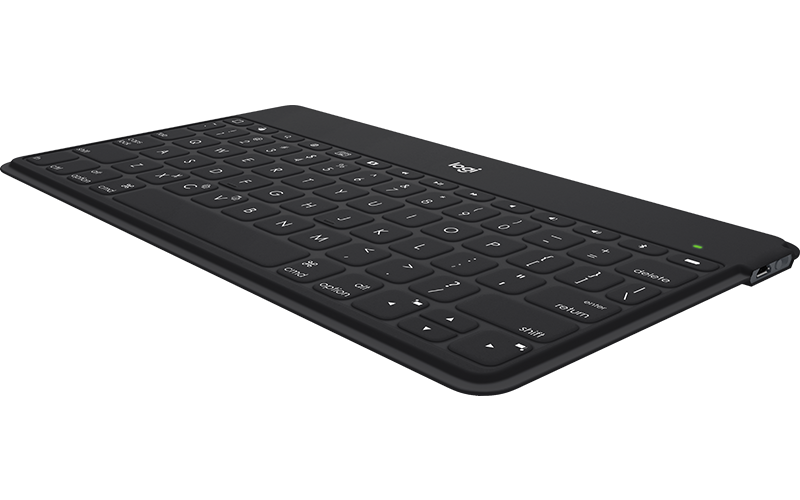 KEYS-TO-GO looks like a regular keyboard but feels and sounds much different. Actually, it doesn’t sound like much at all. 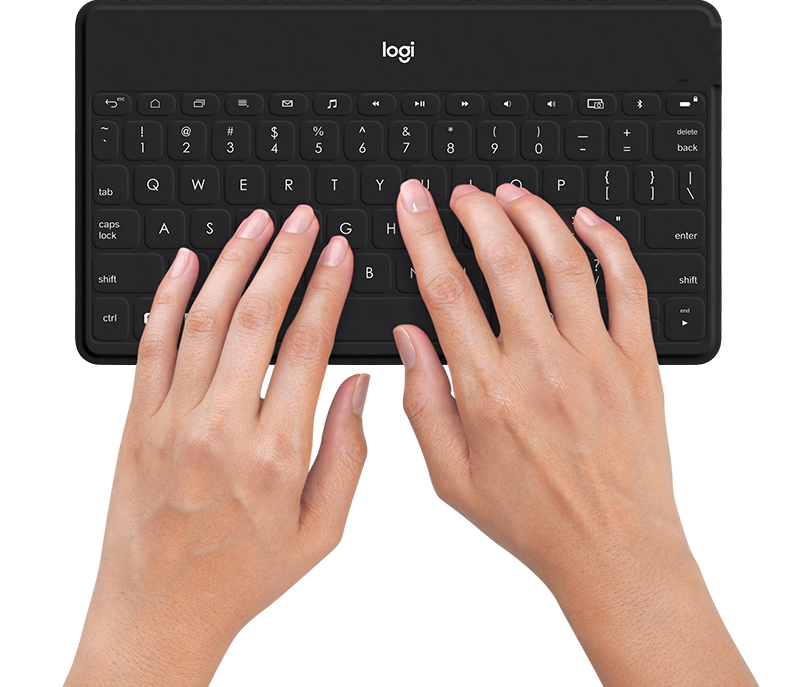 Welcome to silent typing thanks to Logitech’s magical engineering. Type quietly, take notes, send emails, or write up a storm—on your phone or tablet—all without disturbing those around you. Some replies demand more than 140 characters. 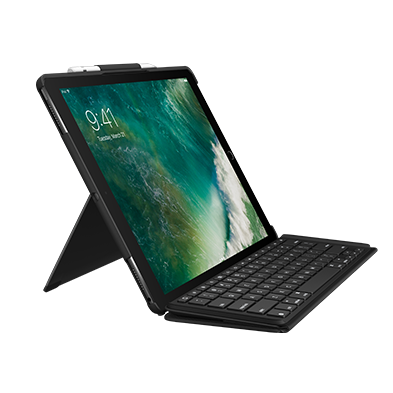 That’s when a portable wireless keyboard is essential. KEYS-TO-GO features a handy attachable stand for iPhone (or any phone) to rest in an upright, easy-to-read position. Now you can post, blog and email without uncomfortably hunching over your phone. Works with all Bluetooth enabled devices; however, shortcut keys are designed to compliment iOS devices.